A fully-illustrated introduction to the archaeology of the Jomon period in Japan, this book explores the complex relationships between Jomon people and their rich natural environment. 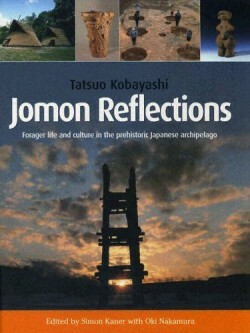 From the end of the last Ice Age 12,000 years ago to the appearance of rice agriculture around 400 BC, Jomon people subsisted by hunting, fishing and gathering; but abundant and predictable sources of wild food enabled Jomon people to live in large, relatively permanent settlements, and to develop an elaborate material culture.In this book Kobayashi and Kaner explore thematic issues in Jomon archaeology: the appearance of sedentism in the Japanese archipelago and the nature of Jomon settlements; the invention of pottery and the development and meaning of regional pottery styles; social and spiritual life; as well as the astronomical significance of causeway monuments and the conceptualisation of landscape in the Jomon period. These ideas are considered in the light of current work in the European Mesolithic and Neolithic, setting Jomon archaeology within a global context. The book draws extensively on new archaeological information from various parts of Japan, including the sites of Sannai Maruyama, Isedotai, Komankino among others. Extensive colour illustrations provide a vivid demonstration of Jomon ideology and creativity.